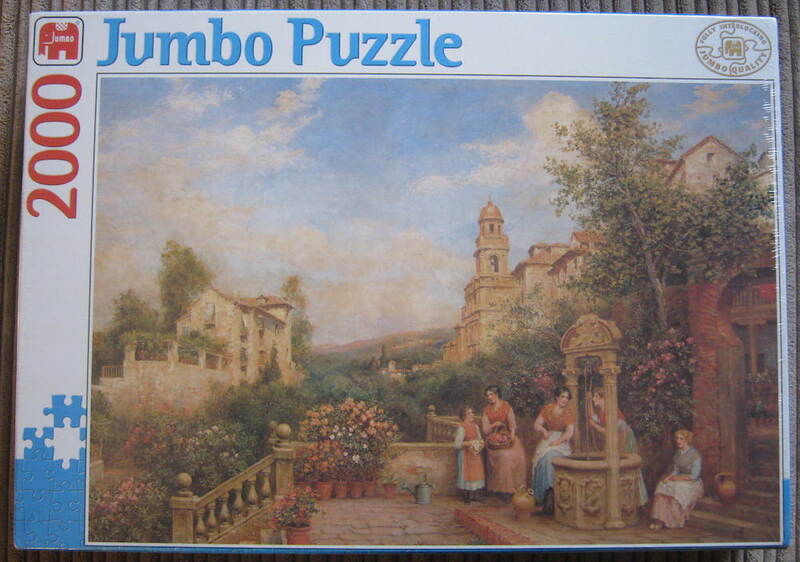 This is a beautiful puzzle by Jumbo. The title is On a Terrace, and the name of the artist doesn’t appear in the box. Puzzle size: 68 x 98 cm. Box size: 45 x 32 x 7 cm.